On May 14 and 15, the Andalusian Fund of Municipalities for International Solidarity (FAMSI) coordinated the international seminar in the city of Huelva "The management of local public services and the Sustainable Development Goals", gathering 120 national and international public managers from 14 countries in Latin America, the Caribbean and Africa, discussing the local government’s new global agenda and its concrete application in public services management. The event was a pilot to apply the methodology promoted by UCLG Learning, which is the "peer to peer learning" between Andalusia and local governments in Latin America and Africa, involving technicians and politicians from different areas of public services, such as water and sanitation, waste management, economic development and tourism. Several technicians had the opportunity to make "peer-to-peer" thematic visits of 1 or 2 days, according to their specific interests in different Andalusian institutions. In addition to a very practical knowledge of the "peers", city models and public services were exchanged, emphasizing the Sustainable Development Goals in the public management of the territories. Among them, there was a large number of representatives of African, European and Latin American public companies. This event ended with the Declaration of Huelva in defense of the public management of local services, and the constitution of a cooperation alliance of public municipal companies. 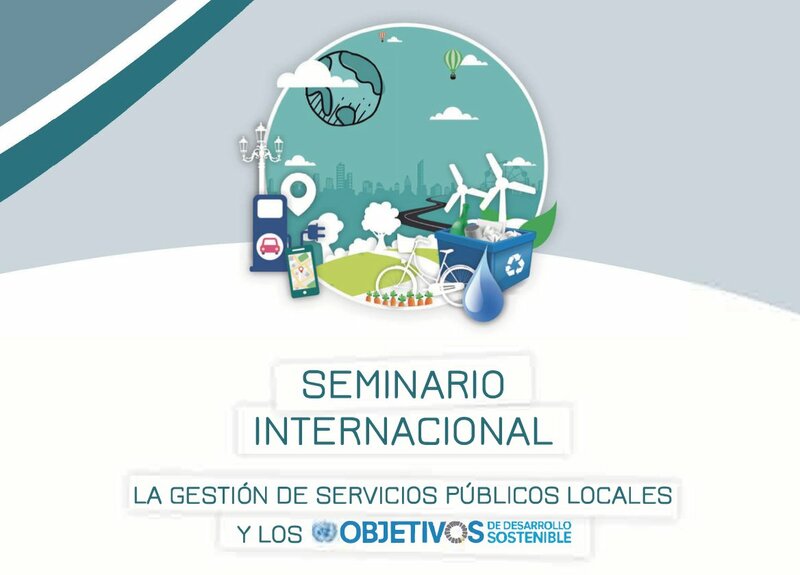 The Andalusian Fund of Municipalities for International Solidarity (FAMSI), that organized the event, reaffirms its institutional commitment to the 2030 Agenda at the local level, in particular Goal 6 (guarantee the availability and sustainable management of water and sanitation for all), Goal 8 (promote sustainable inclusive and sustainable economic growth, full and productive employment and decent work for all), Goal 11 (making cities and human settlements inclusive, safe, resilient and sustainable) and Goal 17 (strengthen the means of execution and revitalize the Global Partnership for Sustainable Development), among others. Increasingly, FAMSI cooperates in initiatives and methodologies with UCLG, both in its territory, applying and adapting the methodology developed by UCLG Learning in the localization of the SDGs for local governments, as well as in recent joint training with officials of the City of Quito, of Mercociudades and Flacma. These activities are reflected on city networks as well, through the Committe on Local Economic and Social Development, which is co-led by FAMSI and the Federation of Canadian Municipalities, and at the DEL Forum working materials, which are also co-managed by several partners, UNDP, ILO, Turin, Oru Fogar, Sebrae and Cape Verde.